John Abbott started drag racing in 1954 and graduated to driving Top Fuel Dragsters by 1964. 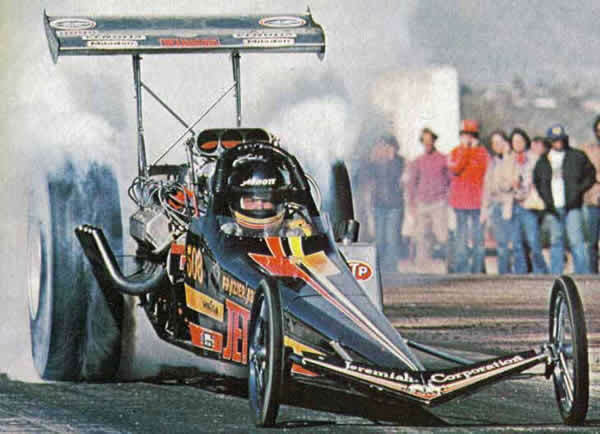 In 1977 he won the Top Fuel Dragster title at the Popular Hot Rod Magazine Championships and in 1978 he won Top Fuel Dragster at the International Hot Rod Association’s Spring Nationals. 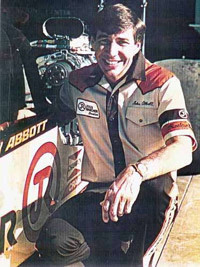 Abbott then won the American Hot Rod Association’s Winter Nationals in 1979. He was also named Colorado’s Drag Racer of the year in 1978 and 1979. In 1981, he won the most prestigious drag race in the country, the National Hot Rod Association’s U.S. Nationals, taking the top fuel dragster title, the year before he was runner up at this event. Abbott retired in 1983 after winning hundreds of top fuel races and setting many track records. He now helps his son and daughter-in-law with their drag racing endeavors. John Abbott passed away in 2017. 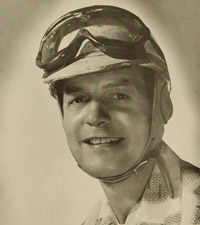 Keith Andrews started oval track racing in 1946 driving Roadsters. In 1947, he began driving midgets and won three feature races at Lakeside Speedway. The following year he raced midgets on the old AAA circuit in the Eastern United Sates. 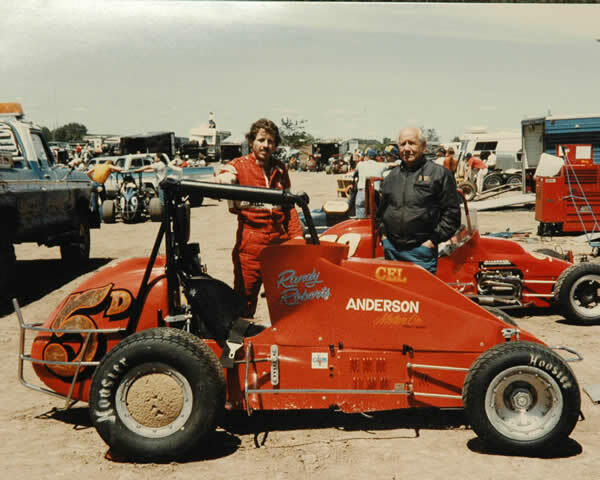 In 1950, Andrews finished fifth in the Rocky Mountain Midget Racing Association’s point standings and the following year missed winning their championship by only five points when the title was decided on the last night of racing. He finished second in the Pikes Peak Hill Climb in 1953 and won the event in 1954. In 1954, Andrews scored a major upset in racing when he and his co-driver, Blu Plemmens, finished third in the grueling Pan American Road Race which ran from Mexico City to Juarez, Mexico. They drove a Cadillac that Keith had borrowed from an automobile dealer in Colorado Springs and beat several brand new, specially prepared; factory owned Lincolns that were supposed to take the top five spots. Andrews competed in the Indianapolis 500 finishing 20th in 1955 and 26th in 1956. He was fatally injured in an accident while practicing for the 1957 race at Indianapolis. Harry Conklin became a race car owner in 1946, owning midgets, modifieds and sprint cars during the next 60 years and continues to be a car owner today. His cars have won 140 Rocky Mountain Midget Racing Association feature races and 15 of their yearly championships. His midgets have won seven Mile High Classic Nationals and scored two wins at the Belleville Midget Nationals. His sprint cars have won four Colorado championships and early on his modifieds won two championships. Drivers that won RMMRA championships in Conklin’s cars include Jimmy La Manna, Sam Sauer, Randy Roberts, Kenny Lewis and present driver Gary Taylor. 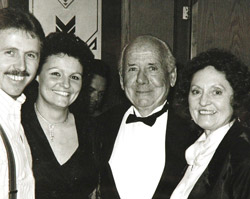 Harry Conklin passed away in 2012. Bob Donner came to Colorado Springs in 1939 and began driving road courses while serving with in U.S. Marines, in California, in 1953. After returning to Colorado in 1956, he scored his first two victories, one on a road course the other a hill climb. Starting in 1958 he was racking up class and over-all wins on road courses across the Country driving a Porsche RSK and later a Porsche RS-61.He finished second overall in the United States Road Racing Championship event at Road America in 1962 and was running third overall at the Sebring 12 hour race in 1963 when he was forced to retire the car. During this period he won his class twice at the Pikes Peak Hill Climb, driving a Porsche. 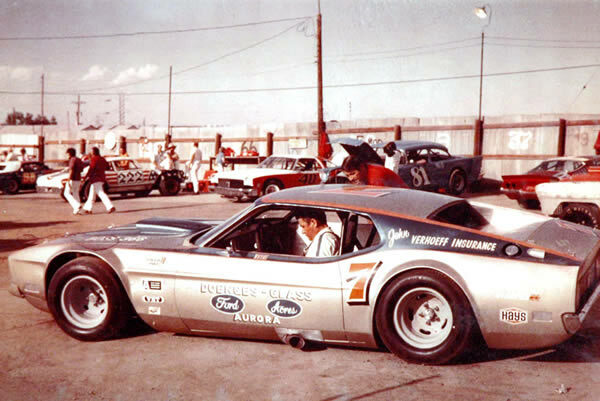 Returning to racing after a 13 year layoff he began winning races all over the country, staring in 1976, driving Ferraris. In 1981, he managed a Ferrari 512 team effort at the Daytona 24 hour race; the car was running second overall before being knocked out of the race with less than one hour to go. Later that year, Ferrari arranged to enter Donner’s Ferrari 512 in the 24 hour of Le Mans, where two Belgium drove the car to a seventh overall finish. 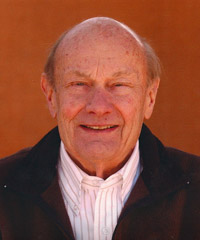 He served on the Pikes Peak Hill Climb Association’s Board from 1979 through 1991 and was its president from 1988 through 1990. Bob passed away in 2010. Randy Roberts began racing in 1975 driving stock cars for three years before starting a 22 year Midget racing career. He won 86 feature races sanctioned by the Rocky Mountain Midget Racing Association and won nine RMMRA championships. He also won four Colorado Sprint Car Championships between 1984 and 1989. Randy was a four time winner of feature races at the Roger Mauro Mile High Classic Midget Nationals in Colorado and he drove to 5 top 10 finishes at the Belleville Midget Nationals in Kansas. His honors include the Rocky Mountain Midget Racing Association’s “Sportsmanship Award,” which he was given four times, and their “Mechanic of the Year” award in 1985. He was inducted into the Belleville High Banks Hall of Fame in 2001. Randy won his last midget feature in New Mexico in 1999 and retired at the end of the 1999 season. Wayne Stallsworth drove his first race in a late model Stock car in 1956. 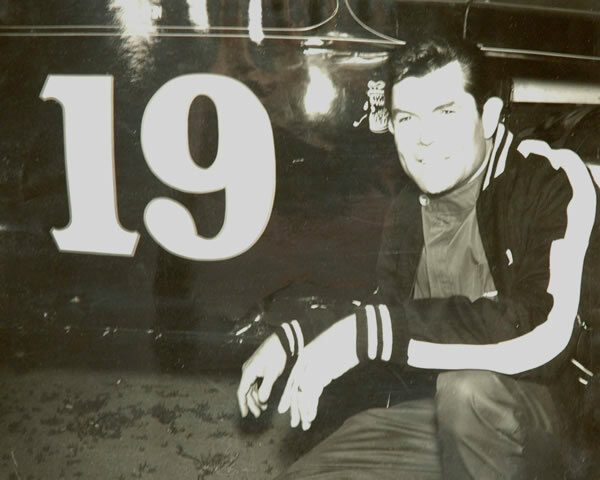 He won his first championship at Englewood Speedway in 1961 in a modified and in 1968 missed winning the modified championship at Lakeside Speedway by only three points. In 1970, he won both the late model and modified championship in the same year at Englewood Speedway. He retired from racing in 1983 and passed away in 2000. Tak Shiramizu was considered one of the best engine preparation specialists In the country. The drag race engines he prepared won major racing events across the United States as well as setting many track records. 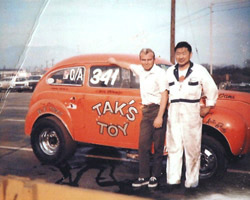 His own drag racing cars named “Tak’s Toy” were a familiar sight at tracks in the region, including a very successful A Dragster. One of the Top Alcohol Dragsters Tak worked on took the Ramer family to the National Hot Rod Association’s top alcohol dragster championship in 1980. That same car finished in top 10 in NHRA points every year it ran and was a national record holder. Tak prepared engines and components for stock cars that won championships on oval tracks, speed boat championships and a very successful mud racing jeep. He prepared a motorcycle engine that won the Pikes Peak Hill Climb and did the fuel management system for a Bonneville Salt Flats Streamliner that set a world speed record of 450 miles per hour for a piston driven engine. Tak passed away in October 2012. Don Wilson started racing modifieds at Lakeside Speedway in 1955 and won seven modified championships on that oval. He was one of the few drivers that drove modifieds, midgets and late models at Lakeside Speedway. He finished in the top 10 in Rocky Mountain Midget Racing Association point standing from 1971 through 1973 and finished second in a United States Auto Club national championship midget at Englewood Speedway. 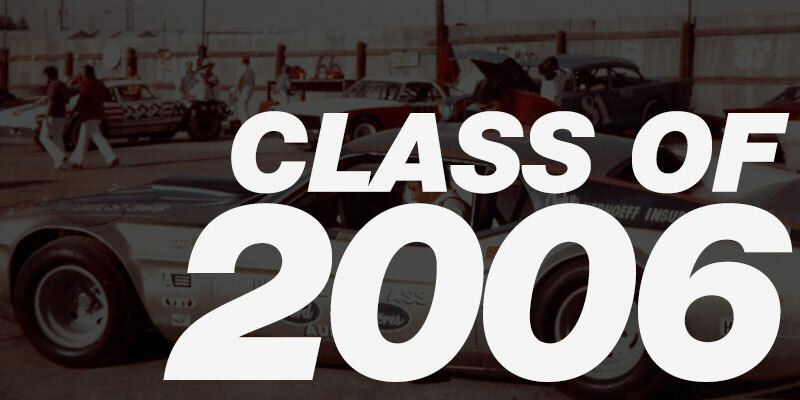 After Englewood Speedway closed, he spent the next few years driving his late model in the western part of the United States and won many special late model races including the famed open competition late model championship in Las Vegas, which he won twice. He retired after winning a key race in Austin, Texas in 1988. Wilson went on to become a successful car owner winning a late model championship at Colorado National Speedway before retiring from the sport. Don passed away in 2014. Ben Krasner purchased Lakeside Amusement Park in 1935 and staged a midget race at the Lakeside ball park that year. Midget racing started full time at the ball park in 1938. Krasner enlarged the grandstands and put in a paved fifth mile track in 1939 as midget racing was running before sellout crowds. They track closed during World War II and opened again in 1946. When racing resumed, sellout crowds waited in line for several hours three nights a week just to make sure they could get a seat. Racing at Lakeside Speedway was the most popular sport in Denver for several years after World War II. Ben would provide car owners needed money to fix their cars and pay appearance money for cars traveling the country to make an appearance at Lakeside. Starting in 1951, modified race cars were becoming the most popular form of racing at Lakeside running on the weekends. Ben Krasner died in 1965 and his daughter, Rhoda, became general manager of the race track and the Amusement Park. 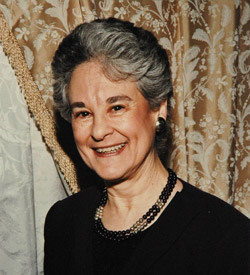 The speedway continued to feature various types of racing programs under Rhoda’s guidance until its closure in 1988.